As the new year begins, we’re once again filled with hope for homeless and hurting pets in Phoenix thanks to friends like you. 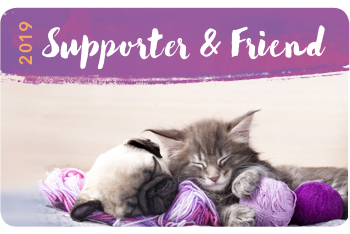 Your caring and compassion make it possible for the Arizona Humane Society to rescue, protect and find forever homes for thousands of deserving homeless pets. Please make a heartfelt donation today and help make this a year of hope for needy pets who want nothing more than to love and be loved in return. Thank you for making the world a better place by caring for cats, dogs and other pets who so greatly enrich our lives. Yes, add 3% to the total to cover transaction fees so there is more money for toys and treats for the pets.